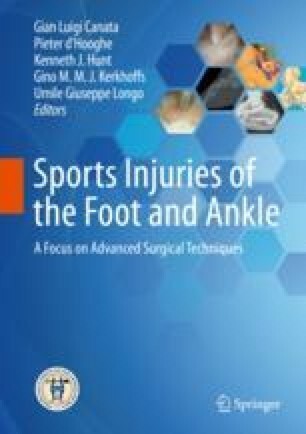 Spontaneous rupture of the Achilles tendon is a debilitating injury that requires prompt treatment to oppose the tendon ends and protect in an equinus position. There is controversy regarding the decision for operative vs. non-operative treatment, and a variety of surgical techniques are described. Percutaneous repair risks injury to the sural nerve and mini-open surgical approach aims to provide a surgical repair whilst minimising the risk of wound complications and sural nerve injury. This also aims to provide enough strength in the repair to allow early active rehabilitation. All images courtesy of Arthrex Inc.